This past weekend I ran my second Zooma Run 10K Race. Since I started running a few years ago, I’ve mostly ran 5K races. Last year, I challenged myself to run the inaugural Zooma 10K Chicago because I was intrigued by the idea of a woman’s race and the benefits offered. I had a great weekend, so I knew I wanted to sign up for the race again this year. Last year, my training was cut short due to a knee injury. I was glad to just finish the race, and knew I would be in pain afterwards. This year, I started increasing my running duration then slowly my mileage earlier on in hopes of being able to run all 6.2 miles. This was working well until my knees starting hurting again about 3 weeks before the race. I was frustrated with being injured and having to halt my training since it hurt to only walk. My goal was again to finish the race and take care of myself. 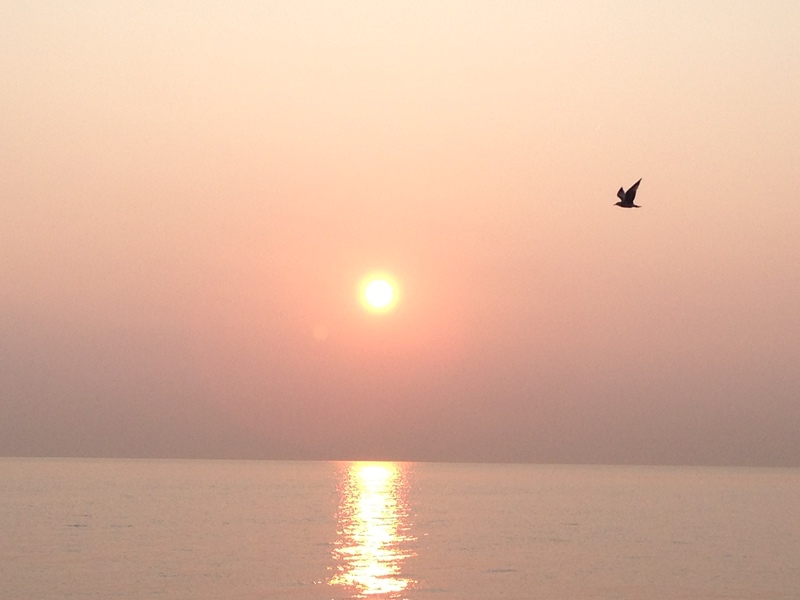 On race morning, I was up before the sun and had a beautiful view of the sun rise over the lake. I was excited for the race to begin, warmed up, and headed to the start line. I knew if I ran at a steady tempo, I would be able to run longer before stopping. I created a playlist of songs that I knew would motivate me while running. 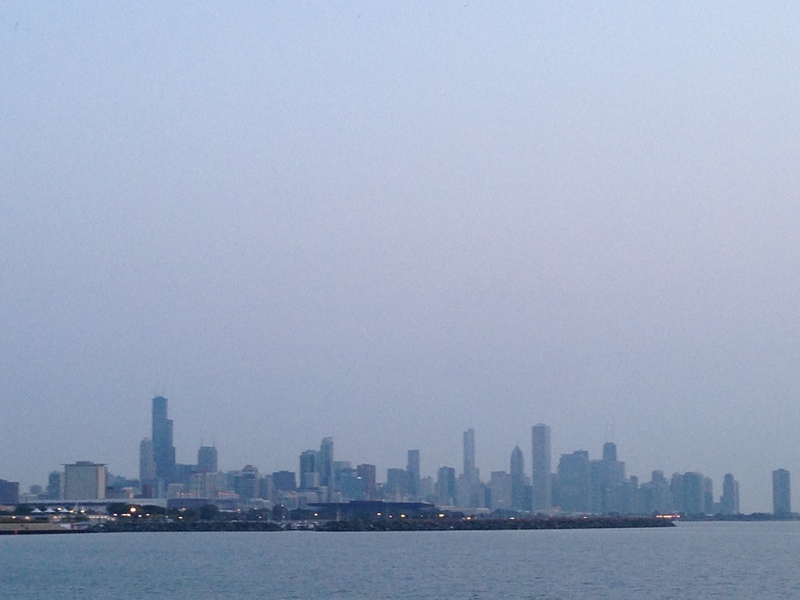 As I started running, I just enjoyed the feeling and beautiful view of the city. While running, as things got more challenging and I got tired, I give myself pep talks: “Keep going”, “You Can Do It”. 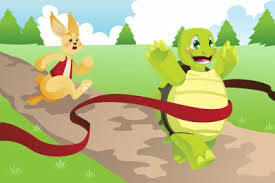 I feel like the turtle in The Tortoise and The Hare-“Slow and Steady Wins the Race”. I gave myself a pat on the back at each mile mark. It was helpful that Zooma put inspirational signs and jokes throughout the race: If Athletes get Athlete’s Foot, what do Astronauts get? Mistletoe. Why do runners run early in the morning? They get it out of the way before their body realizes what they’re doing. And my favorite, “Nothing is Impossible, the Word Itself Says “I’m Possible” by Audrey Hepburn. By reminding myself to go slow and steady, I was able to push myself and run longer and farther than I thought possible. I ran 5 miles before stopping for a short walk and water break, and then continued for the last mile. 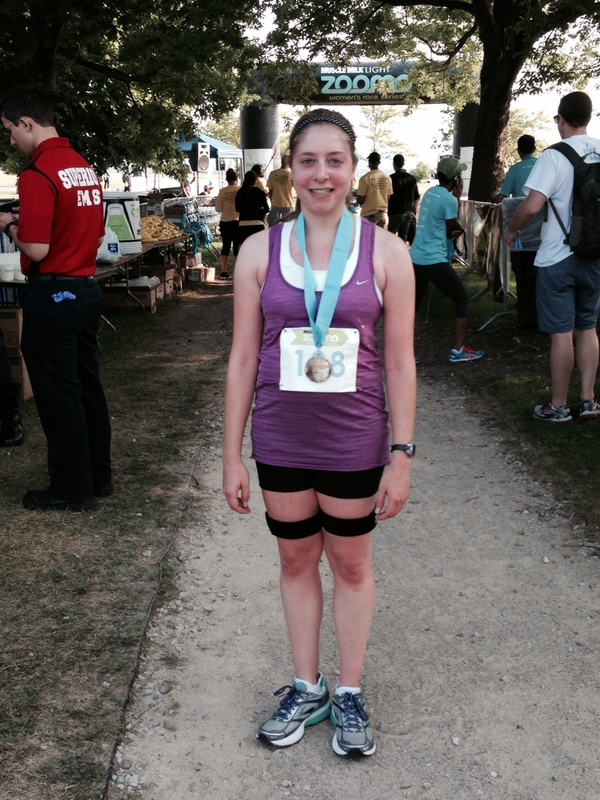 I was not expecting to run 6 miles nor end the race with little knee pain. Not only that, but I set a Personal Record by running a faster time than I did last year. Immense pride and relief in myself doesn’t do justice to what I was actually feeling. This is a reminder, especially as the school year is about to begin, that Slow and Steady Really Does Win the Race. We all set goals and work at our own pace to achieve them. NO matter what is the pace, we can accomplish anything we set our mind to.